Liftech Handling & Access offer a range of access equipment manufactured in the U.S.A by Genie Industries, which is part of the Terex group of companies. The range of access equipment includes boom lifts, tele handlers, and scissor lifts. In addition, Liftech Handling & Access have a fleet of Access equipment for hire. This equipment is also from the Genie brand. They have a spare parts department which carries an extensive range of spare parts to support them. 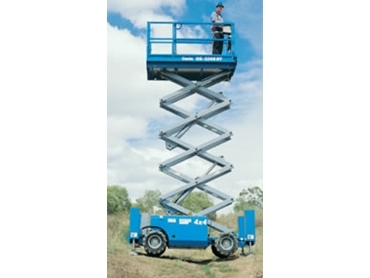 Liftech Handling & Access have no hesitation in recommending the Genie range of access equipment. They can vouch for their quality of manufacture and design. The long standing relationship between these two organisations enables Liftech to offer these products with confidence, knowing that their customers will be satisfied with them.